During the period of the ancient history the island was the center of the Minoan civilization together with Crete and Santorini. After a series of disasters and wars the Minoan civilization declined and a new independent state Alasia was founded in Cyprus. This small country has become so important in the political map of the world, that the Pharaoh of Egypt called it’s king “brother” ! In the 13th century BC Cyprus shared the bad luck of Egypt and was captured by the Hittites - the new military force in Asia. However, they didn’t manage to rule the island for a long time – Cyprus was captured by the so called 'Sea Peoples' (probably, this romantic name means common pirates). In some years the island returned to the rule of Persian Empire, this time with the privileges of autonomy ... Cyprus became part of the Greek world thanks to Alexander the Great. It was annexed to the empire of Alexander and became part of the Hellenistic Egypt. A friend and commander of Alexander founded the Greek Ptolemey dynasty of Pharaohs, who ruled Egypt and Cyprus. Another great man, Julius Caesar, gave the island to Cleopatra as a gift. However, this beautiful step did not change the essence - from then until the fall of the Roman Empire, Cyprus became part of the Roman world. In 395 AD Cyprus was annexed to the Byzantine Empire and got autonomous only in 1185 AD. The famous Richard the Lionheart captured Cyprus during the third crusade. Cyprus became the base of the Crusaders and later of the Templar Knights. The Templars retained the rule of the island for nearly 300 years, until Venetians conquered the island and set some fortified castles. These castles proved to be very useful during the constant attacks of the Ottoman Empire. Finally, the Turks got more successful in the long war and the island became a part of the Ottoman Empire. As a result of the Russian-Turkish War, Cyprus ended up under the occupation of Britain. 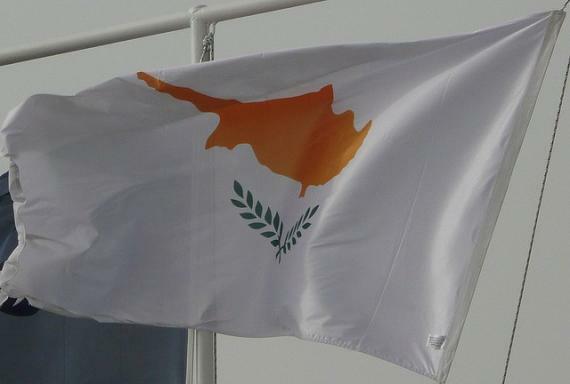 In 1960 Cyprus gained independence and, after the negotiations between Britain, Greece and Turkey, was divided into two communities - the Turkish and the Greek. The clashes between the Greeks and the Turks continued for many years. Today Nicosia is the only city in the world which is divided into 2 parts. But don’t worry – a modern Cyprus lives without any collisions. The island is visited by many tourists who enjoy the sun and the sea, as well as many sights of interest that remind us the long and exciting history of the island.